Just wanted to say how much I appreciate you guys always doing your show ( every week) not like the rest of the shows I listen to that took the week off . Another solid podcast. While I revere Hersh for his great work I have to disagree with what he said about the Democratic Party. The Democrats are not feckless, they’re outright corrupt. Cheating Bernie out of the nomination, the contents of the Podesta and DNC emails, the California Dems not passing a UHC bill when they have a Democratic governor but instead having it shelved in some committee, same thing nationally when the Dems had the White House and both houses of Congress in ’09 but didn’t give us a public option on the ACA, continuing Bush’s Wall Street bailouts, took us into wars from 2 countries into 7, these and many other things are not exactly indicative of fecklessness. This is intentional and insidious, and any idea that they are not competent makes excuses for them. Harsh even stated that Obama, upon re-election, failed on countless opportunities to improve many things when in more likely he was counting on Republican obstruction to progressive/left policies in order to keep the Dems donor class happy while keeping a “progressive” image. Not just after re-election, but also he also had ample chances in the first two years of his presidency with the aforementioned Democratic Congress. Too many questionable ‘failures” to chalk them up to fecklessness. No, rather it’s political maneuvering and it’s because of rampant corruption and this time it cost them not only a presidency, and what should have been an easy win at that, but the first woman president in American history (although the woman candidate in question is highly culpable in her own failures). Whatever one may say about the Republicans, and there’s a lot to say that bunch of unhinged lugnuts, at least the GOP is honest in their intentions on virtually every issue. Perhaps one exception could be the whole ‘family values’ thing, they clearly care nothing for families and there are examples too many to list here. Nevertheless the Republicans are overtly pro-business and anti-worker (they say anti-union but they’re really anti-worker) to 1800s levels, overtly racist/sexist/homophobic by virtue of their platforms and the kind of voter they attract, and highly authoritarian. The Democrats say everything Left but in the shadows enables or outright fuels everything Right. So I wish people who consider him/herself left would stop with this idea that the Democrats are an answer to the Republicans. They’re not. Tired of this tripe. All of your shows are important, but this show ranks high up there for me , along with your interview with the former FCC chairman. The only thing I question from this interview relates to the Pull Quote used for the show above. I understand Mr. Hersh, a self-described contrarian, did not want to make it seem like he was defending the Trump administration, but it felt like he was alluding that the FBI indictments of the individual Russian hackers is equivalent to the wagging-of-the-dog performed on the American Public by the Bush administration to go to war in Iraq? And the crazy antics of Congressman Nunez might be warranted? If so, that is a very powerful accusation with nothing to back it up except his own high confidence assertion of not trusting “high-confidence assertions”. If he has material from sources proving otherwise, I look forward to its publication – I am sure Nunez, Manafort, and Trump would bite off his hand for it. Until then, the evidence (which hopefully someday we will see published in court documents) seems to be stacking up to the contrary. Yes, I agree with Ben. I’d like to hear some clarification about the statements by Sy another Nunez, wwith which Ralph agreed in passing. I don’t want to speak for Mr. Hersh, but this show was recorded before those indictments came out. I have been wanting to meet you ever since I went to the Tort Museum of Law. I live in Middletown, CT. I am a truck driver delivering gas, but would love to do more to help give back to society. I am currently trying to get a plastic bag ban in Middletown and CT. I was wondering if you can lend me any support to take on this endeavor. Tonight I am meeting with the recycling committee in Middletown. Could you possibly send me any links? Could you help me to get this going in Connecticut in some way? I know you are busy, so I understand for not getting back quickly. I wanted to let you know, you have inspired me more than anyone else. 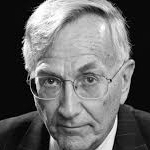 Regular listeners of this webcast are grateful to Ralph, his assistants who make this possible — and to Seymour Hersh.